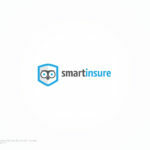 Smart Insure is operated by the Cranfield Group, an Insurance and Investment firm that has been operating for over 25 years. Could I approach an insurer directly and get better pricing? My insurance premiums go up each year. Can I do something about this? I am self employed and need advice around ACC – can you help? Should I contact you if my circumstances change?